What do you think about time sensitive offers? They are super annoying, right? Well, they can be. Especially when they create false scarcity… on your first visit to the website. What can be more annoying than someone putting a figurative gun to your head and saying last chance to “[insert any CTA] ends NOW”? Even worse is when that artificial timer completely takes over your website experience. You’ll get a screen filler lightbox that covers the entire screen, topped with a giant countdown. You can’t do anything but heed the countdown, or risk getting click-shamed for continuing on to your desired page. On the other hand, limited time offers do lead to action. And if you entice people to make a decision, your sales will rise. It’s human nature to avoid FOMO, and nobody wants to regret missing out on a killer offer that is about to expire. Limited time offers work, especially when they are genuine. Here are some real world examples of limited time offers that actually make sense. If you have the product available all the time, there is no need to buy right away. But with Kickstarter, you are pre-funding a new product development. If you don’t give them the funds, they can’t afford to make the product! So your action is required for the product to work. The time-sensitive call to action for pledges during a limited time period works. And it works tremendously well. What about the holidays deals? Many sales, discounts, and promotions are seasonal, happening around a certain time of the year. You know, Black Friday deals and the Christmas shopping season. They work because we expect the offer to go away when the fixed-time period ends. They are genuine, and they work well for all types of businesses. Online and offline. Genuine is the key. Because smart consumers can see through false scarcity immediately. From our experience, limited time offers work really well. And we use Thrive Ultimatum to get us there. Thrive Ultimatum was actually a key component of our biggest launch to date. You can read about the six-figure launch on the Thrive Themes blog. So what is Thrive Ultimatum? Thrive Ultimatum is an urgency-creating marketing tool that’s built on the WordPress platform. We use Thrive Ultimatum to manage our launch efforts and other limited time offers. The software controls what is displayed, when it is displayed, and when to lock down the content that is no longer available. Here are 6 reasons why we chose to use Thrive Ultimatum as our scarcity marketing tool. Because our sites are all built on WordPress: This plugin is native to WordPress so we don’t need to use a third party technology. We love that it’s plug-and-play in our existing environment. Beautiful templates for countdown display: There’s beautiful templates built-in the plugin. We can create a professional looking countdown timer with just a few clicks. Easy control of where widgets are displayed: There’s a few display location options for the widget. You can have the widget to display at the top of the screen, as a top ribbon. Or bottom of the screen or elsewhere on the screen. And it’s again done with just a single click. Integrates with existing marketing seamlessly: If your website is built with WordPress as the content management system, then this plugin integrates seamlessly into the ecosystem. It works well with other WordPress plugins. 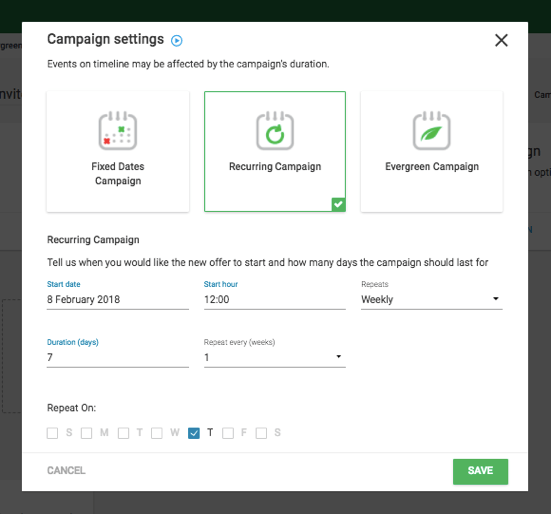 Multiple types of campaigns for multiple needs: Depending on the marketing campaigns you’re running, you can select a Thrive Ultimatum campaign to fit your needs. We welcome how flexible and versatile this tool is. Allows us to focus on doing better marketing! : It allows us to focus on what’s most important, and not having to worry about the technology. We don’t need to pull all-nighters to figure out how to cookie a certain segment of website visitors. It just happens right within Thrive Ultimatum, it’s almost like magic. So what’s under the hood of Thrive Ultimatum? How does the magic happen? 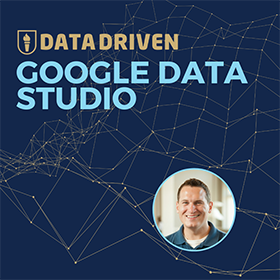 Let’s talk about the key features of this software, and how we use them to build scarcity into our marketing campaigns. You can select where the widget is placed on your site. It can be a top or bottom banner, or sidebar widget. You can even generate a shortcode to be placed inside the content area. And it doesn’t end there, you can assign a different design to be displayed at a certain time during your campaign period. For example, you start off the campaign with a more pronounced display of a top ribbon. And then you’ll move the campaign offer to a sidebar widget to be less intrusive after some time has passed. The timeline feature is where you control this setting. And within each design, you’ll get different templates to work with. We usually start with something very similar to what we want to build and then customize it. This is more efficient than trying to create something from scratch. You can choose where to display the countdown timers on your site. It can be on all pages or only some pages. Because the plugin hooks into the WordPress content management system, it lets us choose the type of content we wish to display the timers on. The lockdown feature is optional. If you turn it on, the campaign pages will no longer be available once the campaign expires. This has been really helpful for us as we don’t need to worry about turning campaigns on and off once they are completed. The plugin does that for us based on the dates and time we’ve set. This is useful for product launches, for example. Events where you don’t want anyone finding a backdoor and getting offer prices after it is over. You can lockdown those pages with this feature. 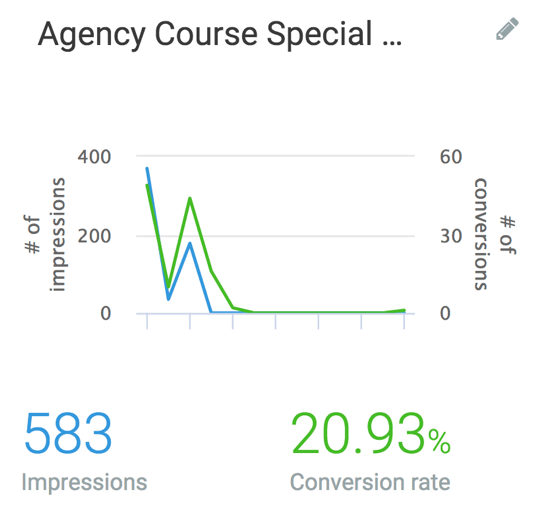 You’re able to track conversions right within the interface. Once someone hits the conversion point, the campaign ends for them. They will no longer see the promotion material of the campaign. There’s also the option to push someone to a second campaign once they’ve converted the first. The second campaign would usually be an upsell. This way, you can move them up your product ladder, depending to their actions. 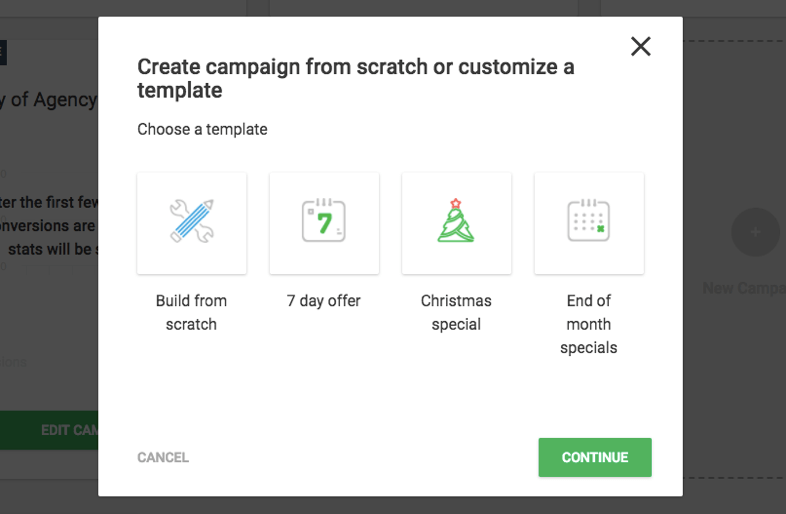 Thrive Ultimatum also has predefined campaign templates that can help rapidly develop campaigns, so you don’t have to start from scratch. These predefined campaign templates are great for campaigns like seasonal sales or monthly specials. Thrive Ultimatum specializes in running scarcity campaigns. And there are 3 types of campaigns you can choose from: fixed date, recurring and evergreen. Here are the use cases for each of these campaign types. A fixed date campaign is exactly that. There is a defined period when it starts and ends. You define the start date/ time and the end date/ time. We use this type of campaign for our product launches. During our launches, we would have a defined period of when the offer is available. And after the cart closes, all the promotion material goes away and the pages will be lockdown. The second type of campaign is the recurring campaign. 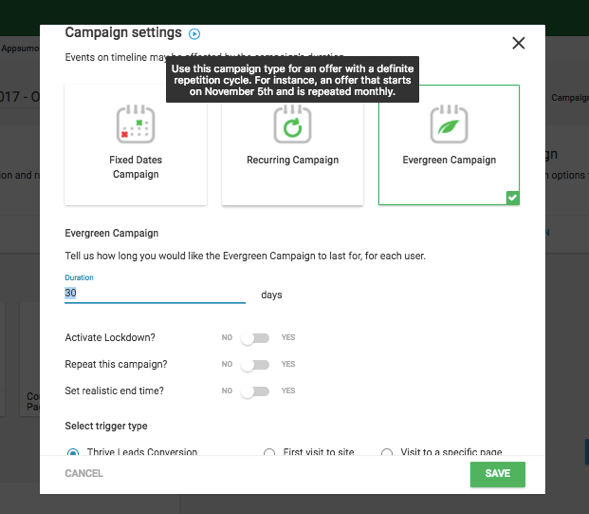 In this type of campaign, you can select how frequently the campaign timer gets restarted. You can set it to repeat every week or month, for example. We usually use this type of campaign for our Facebook ad campaigns. In our ad campaigns, the CTA is to join us on a webinar. For example, if we run an on-demand webinar every Thursday, the timer resets after the registration period for the week’s webinar is over. And the visitor can only register for the next session. And this happens week after week, automatically. The third type of campaign is the evergreen campaign. There is a fixed period of time for the campaign, but it is per user. For example, you have an offer for all new visitors to your site. The offer lasts for 5 days. But the start and end date is relative to when a new visitor comes to your website. 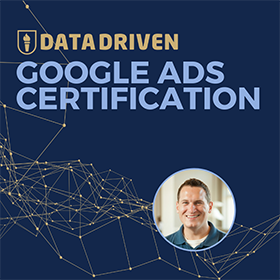 We use the evergreen campaign for our Free PPC Mini Course. We have an opt in form on our PPC homepage for visitors who wish to have a preview of the full PPC Course. 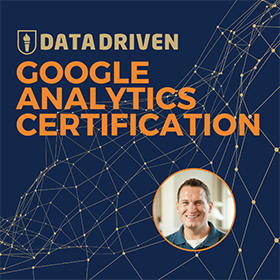 Once users are opted in, the evergreen campaign is started, and it gives the user a discount on our full PPC Course. The offer goes away after 7 days, and then the visitor can no longer see the offer. So every visitor gets a 7 day window to act, but the 7 day period is relative to when they opt in. As with every software, nothing is perfect. Although the Thrive Themes team is constantly working on improving the plugin, there’s always room for improvement. Here are features we would like to see them improve on. It would be great if the tool integrated better within email marketing software. Have you ever received emails with a countdown timer, and it syncs with the offer countdown timer on the website? That’s a great feature to have, to have scarcity present even in our customers’ inboxes. Thrive Ultimatum will be a killer product if they can implement this. Every promotion we run is tested before it goes live. But sometimes this is simply impossible for Thrive Ultimatum campaigns. The plugin doesn’t have an admin version, and we’re unable to check if the campaign is running how we expect it to. It would be great if there’s an admin tester feature for us to properly test the campaign before we make it live for our users. It would be great if we could display multiple countdown timers on a page. At the moment, we’re only allowed one countdown timer widget per page. But there are cases when we’ll need a top banner and an inline timer as well. Thrive Ultimatum doesn’t support URL as conversion point. In the case of WooCommerce purchases, we can’t use the thank you page as the conversion point within Thrive Ultimatum. It would be great if we can manually declare a page URL, or even have a WooCommerce integration for conversion. This would require an even deeper integration with email marketing software. Imagine if we can customize campaigns based on the user’s interaction with our emails, the plugin will be a very powerful tool. 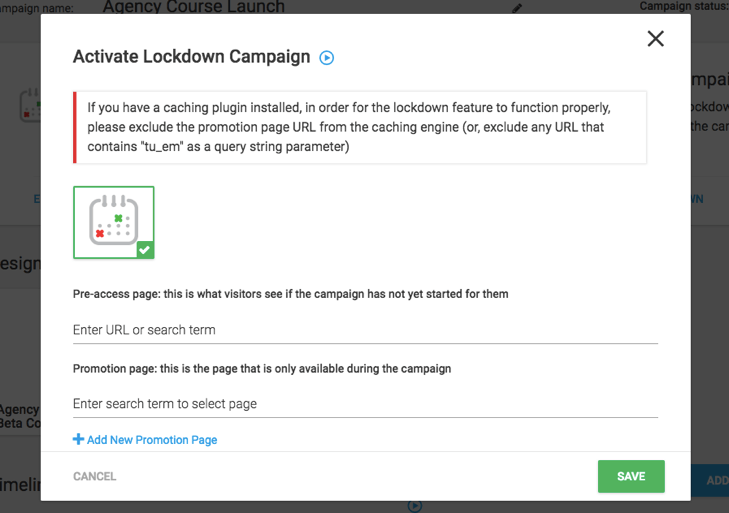 This integration means that Drip (our email marketing software) would know if someone is part of a lockdown campaign, how much time is left on their evergreen campaign, or whether someone converted in a Thrive Ultimatum campaign. This feature is related to other requests for more ways to exclude users from campaigns. We would not want to show a campaign to someone who already bought our products, for example. We also want to only display offers to users who are not logged in. Overall, Thrive Ultimatum is a great piece of software, especially at the price point. You can get the tool as part of the Thrive Themes bundle, and it is very affordable. So, if you have no experience with scarcity marketing, then you would definitely need a tool like Thrive Ultimatum. Give Thrive Ultimatum a try, I don’t think you’ll be disappointed. This post and video was episode 70 in our 90 Day Challenge digital marketing series.